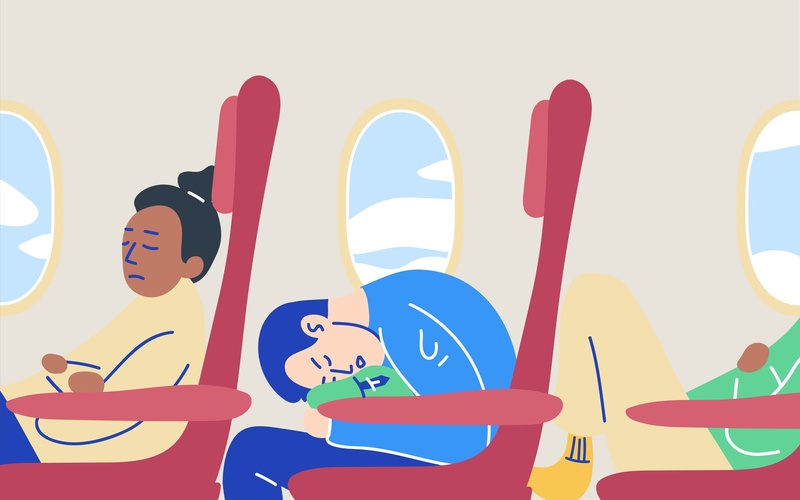 Uncomfortable seats, not enough room to stretch, crying kids – airplanes are not the best place to get a good night’s rest. You want to land at your destination looking well-rested and refreshed not worn out and frazzled. You’ve already got the best travel pillow in tow but what are the other sleeping hacks for when you’re in the air? We’ve found these tried and tested bedtime tips and comfy positions for the best ways to sleep on a plane. Without getting too carried away, try to make yourself as comfortable as possible. Make sure to pack some items in your carry-on that will help you create the same bedtime routine you have at home. Those familiar rituals will help get your brain in the mood to go to sleep on a plane. A frequent traveler on long haul flights, Nick Brennan of My UK Sim Card suggests following a routine to relax before falling asleep. Take something more comfortable to change into, brush your teeth, have a soothing herbal tea. In other words try to replicate as much as possible what you do at home before going to bed. The space around you is cramped enough, so only keep the items that will help you sleep near your seat. Beverly Friedmann of ReviewingThis recommends to remove all of your bags (and shoes) to maximise your space and recline your feet. Bring along your favourite books, blanket, and anything else that reminds you of feel-good relaxing home vibes. While it helps to get warm and cosy on the plane, try to cool off before you put on your comfy travel clothes. Taking a cold shower works for travel nomad and co-founder of Bureau Sib Mahapatra. This tip works even better if you have access to an airport lounge and can shower right before boarding the plane. He recalls that sleep science shows that cooling the body helps with both falling asleep faster and maintaining high quality of sleep. Once you get settled those brrs will turn into zzzs. You don’t need to add a bunch of extra items to your carry-on order to doze off. Many of the items you already carry with you can end up being the best sleeping hacks. You may not look so glamorous, but you’ll be counting sheep in no time. Eric Wychopen of Penguin & Pia has found a creative way to keep yourself from doing that annoying head bob thing as long as you’re okay with potentially embarrassing yourself. First, put a scarf around the headrest, tie a knot, and slide that to one side of the chair. Then you slip your head under the loop and essentially tie your head to the headrest. The key to the head wrap is the tightness of the scarf – it should be snug around your forehead. You can even drop the material down over your eyes to become a sleeping mask! For Chris Brantner, Certified Sleep Science Coach at SleepZoo.com getting some sleep can be done in two easy steps: first, lower the tray in front of you. Then place your personal item on the tray. Lean over and use it as your pillow. This position keeps your head from flying around or even accidentally ending up on the shoulder of the person next to you. It also keeps your head from tilting back and snoring (how embarrassing is that on a plane?!). A gift unexpectedly changed the way Jermaine Amada of J Amado Photography could sleep on a plane for the better. He had to bring a robe that he received as a Christmas gift on board because there wasn’t any more space in his carry on. It turned out to be a revelation! It not only kept him warm but since it was so fluffy it also made for a great pillow. The best part was that the sleeves were large and he was able to stick his head inside them and use it as a fluffy eye mask. Unless you’re flying on a lie-flat seat that allows you to spread out, you’re confined to your one armrest (or two if you’re in the middle seat according to the Unwritten Rules of Flying) and a seat that only reclines a few degrees. That’s why it’s important how you position your body, not only for sleeping on a plane but also to prevent getting a crick in your neck. Dr. Rick Swartzburg Chiropractor and inventor of the Snuggle-Pedic pillow recommends tilting the seat back a bit and using a pillow that will stay put behind your neck, which can also wedge your head and neck as you lean a bit towards the window frame. This gives you the best advantage in terms of pure support. If the pillow that wraps around your side is not thick enough, you can use a blanket or jacket to further add to the lateral support of your head and neck, but be sure that you give more support to your neck than your head. Matt Boyd, founder of Moving.co.nz reminds you not to forget about how you position your bottom half. A good tip is keep your legs straight, with a slight bend on your knees. If you’re trying to go to sleep on the plane the thing you want to do is lean back the seat at a comfortable position and uncross your legs. 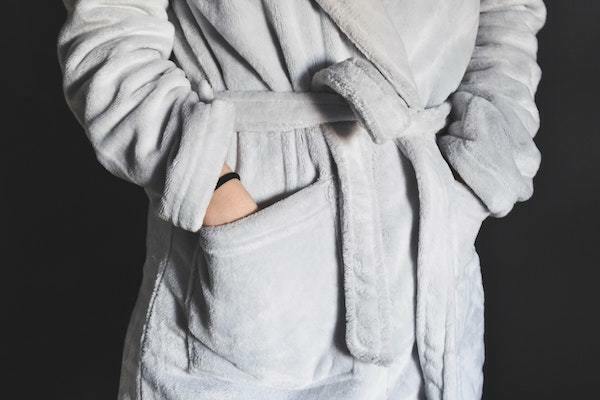 Once you’ve found the right position and are ready to drift off to sleep, subtly let others know not to bother you like Ana Rojas of ComfyCommuter. She has used a hotel ‘Do Not Disturb’ sign and hung it on her blouse. It worked pretty well to keep flight attendants and seat mates from waking her up. If you’re a nervous flyer or just want to ensure that you will be knocked out as soon as you take off you may be tempted to use sleeping aids. 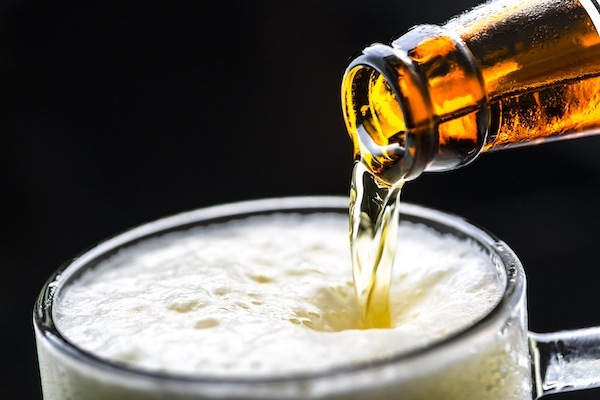 There are several medications or good old fashioned booze that can help travellers take the edge off. But sometimes altering your mental state can end up backfiring. Brett Manders, International Airline Pilot and author ofBehind the Flight Deck Door – Everything You’ve Ever Wanted to Ask a Pilot warns to stay away from sedatives. They will certainly help you to sleep however, their danger lies in if there is an emergency and you need to evacuate the aircraft. You want to be 100% alert, not groggy from medication. Dr. Kent Smith of Sleep Dallas also suggests you keep your buzz to a minimum by limiting alcohol consumption. While alcohol may aid in relaxation, it also sedates the body’s breathing muscles. So it’s more difficult to maintain a clear airway when you are sedated. Plus since your muscles are relaxed they’re less likely to prevent snoring. Dr. Smith warns to partake wisely in the mini liquor bottles, or better yet, stick with the ginger ale. Instead of feeling rejuvenated with rest you may risk feeling groggy at the end of your flight. Travelling with little ones can be tough for parents (and sometimes fellow passengers). Before you can put into practice your own sleeping hacks you’ll want to make sure that your kids are dozing off. Try these tips to help your toddler sleep in plane mode. Just like you, your tiny travelling companions appreciate their bedtime rituals. Lifestyle and luxury travel writer Katie Dillon says familiar items like pillows, blankets, and pyjamas help kids sleep on aeroplanes. Every parent knows travelling with children makes everything significantly hard, so familiarising an unfamiliar space is crucial. If your child is sleeping soundly, you are much more likely to be able to unwind, relax, and sleep as well. Trish McDermott of BabyQuip recommends strategic planning when it comes to flight times. Book a flight during your kid’s nap time or one that begins close to their bedtime. 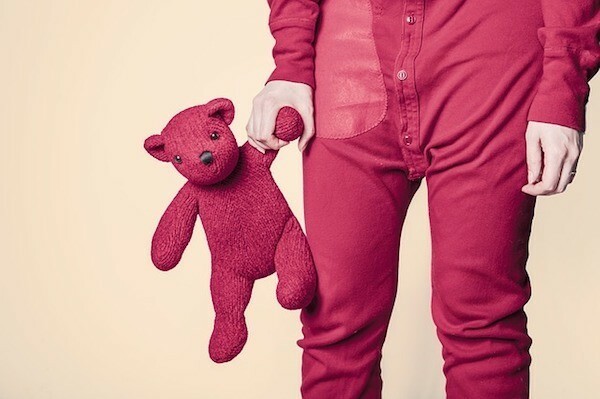 Dress your young children in pyjamas, as this reminds them that sleep is likely to be in their near future. All bets are already off when you are travelling with young children. No one expects you to be stylish or trendy, so opt for comfort! Celine of Baby Can Travelhas a comfy setup that helps her toddler sleep on aeroplane floor space – an inflatable aeroplane cushion. It fits in the floor space between the child’s seat and the seat in front – turning their seat into a bed. And if your child is positioned right, you can sneak your feet up on the cushion to be more comfortable and catch a little sleep! Dave Munson of Saddleback Leather has a suggestion for parents who need space for more than one kid to sleep. When his two kids were little, his family would always reserve all four seats in the middle section of the plane so that he and his wife could sit on either end of the row. Then they would position one kid on the ground between their feet and the other across the two seats between them. Try out these sleeping hacks to get the best sleep on a plane! What other tips for sleeping on a plane have you discovered? Let us know in the comment section!